I’ve been working hard to learn to move with my back straight. 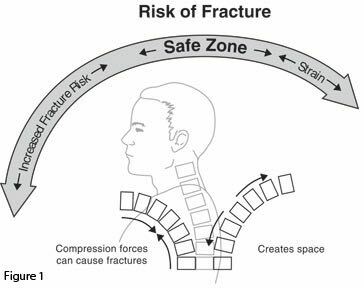 I knew that forward bending was something to avoid – small fractures in the front of the spine lead to more fractures– a cumulative process that is hard to stop once started. I had thought it was ok to bend backwards, and have been doing this everyday as part of a modified balance exercise on the Wii. Looking through the ‘Yoga for Osteoporosis’ book by Loren Fishman and Ellen Saltonstall I see they don’t include poses with back bending. They do have something called ‘Upward Bow’ (Urdhva dhansurasana) (p122) but is for prevention only. The other poses come with three variations for those preventing osteoporosis, for those with osteopenia (at risk bones) and those who already have fragile bones. If anyone has ever watched an infant get frustrated at being trapped in a car seat – I can empathise.